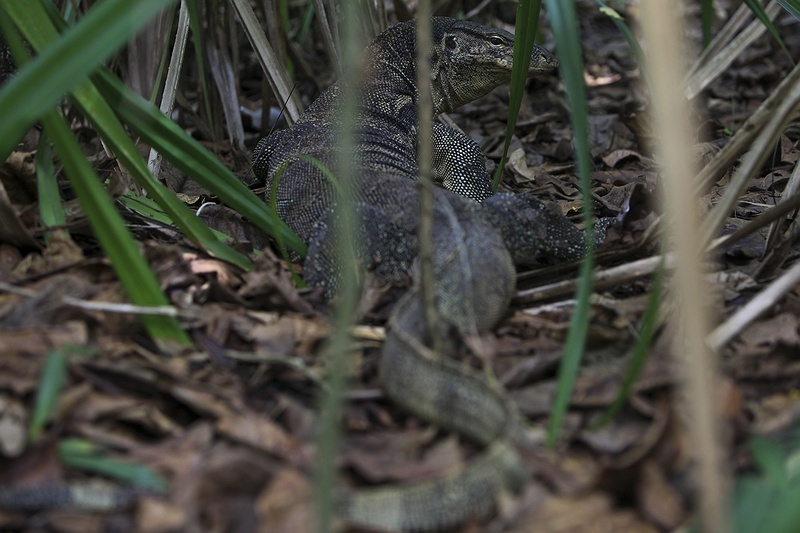 A dragon lizard called a Biawak peeking out from a thicket on the island Kotok besar. The Slamet Haryono centre operated by Jakarta animal aid network, JAAN operates on this island. This unique and diverse wildlife is threatened by rising sea levels.